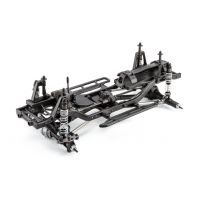 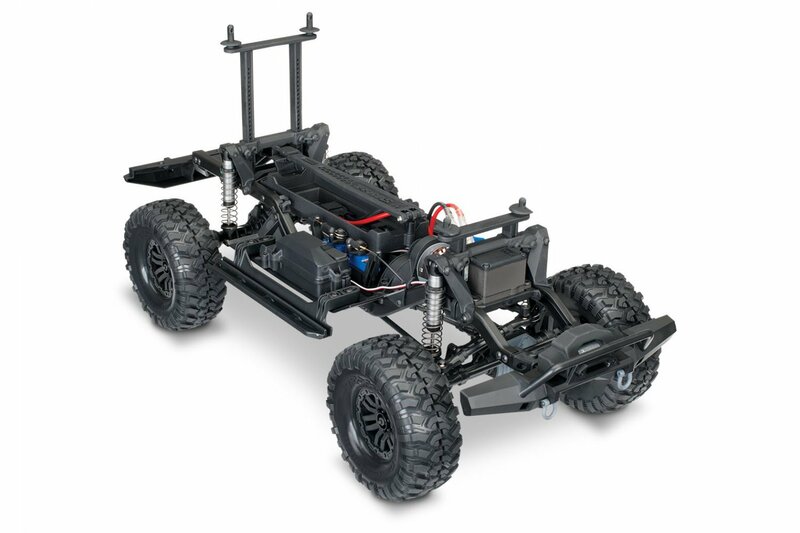 Traxxas has been working hard on this tough looking Defender 1/10 RC crawler. 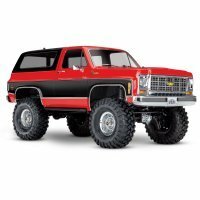 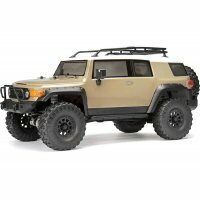 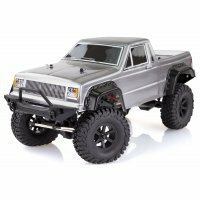 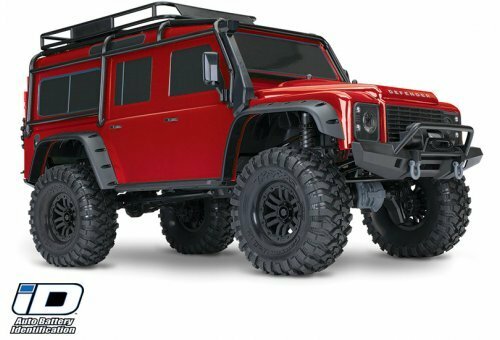 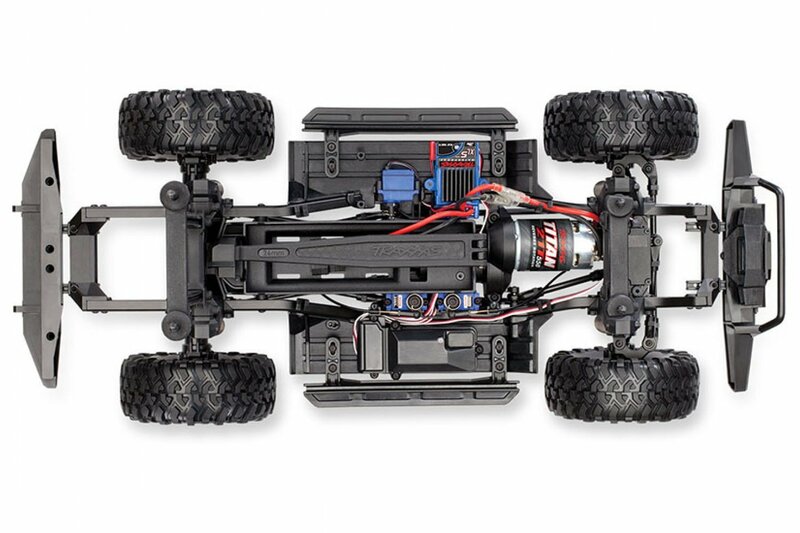 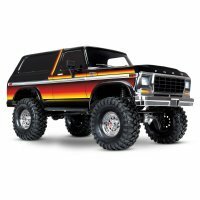 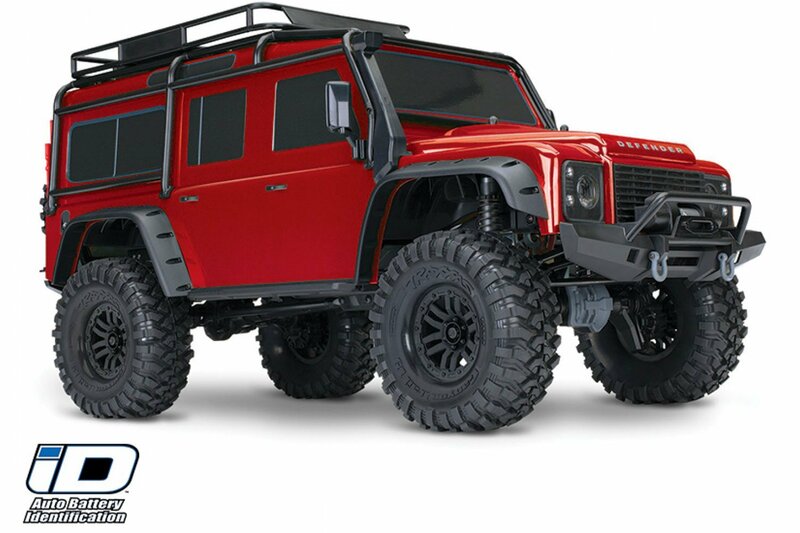 The TRX-4 RC Truck is packed full of features right out of the box! 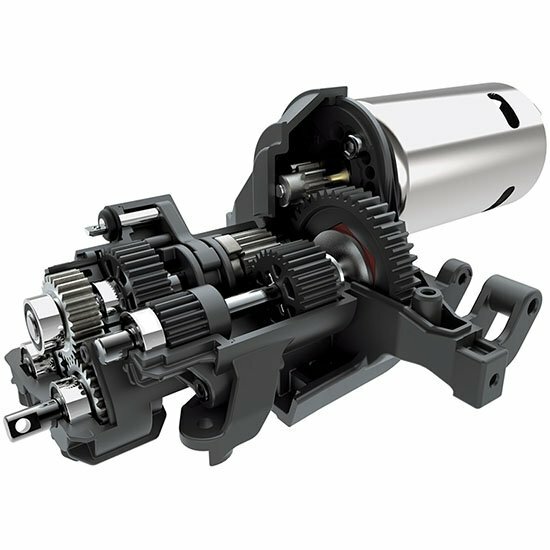 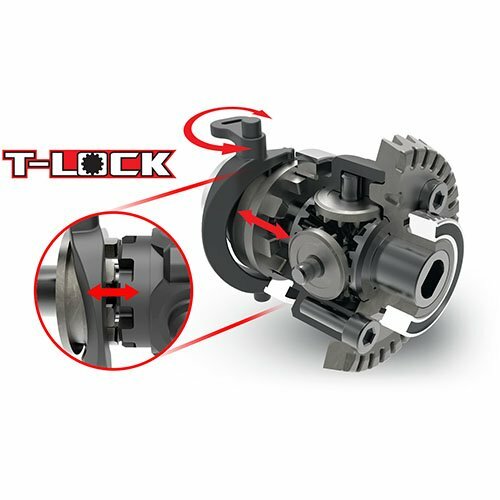 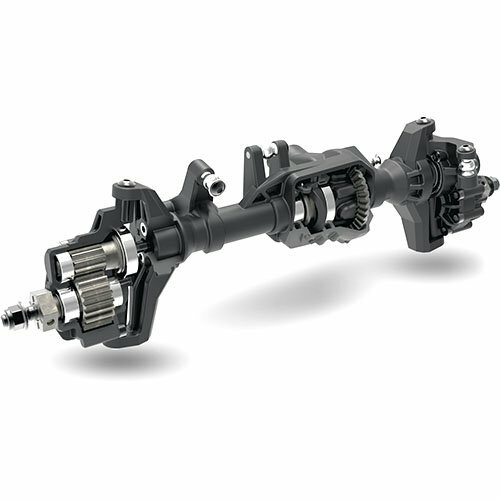 With remote differential locks, remote high and low gearing at a flick of a switch, portal axle, Inner fenders, waterproof electronics, metal geared high torque steering servo, aluminium shocks and the list goes on! 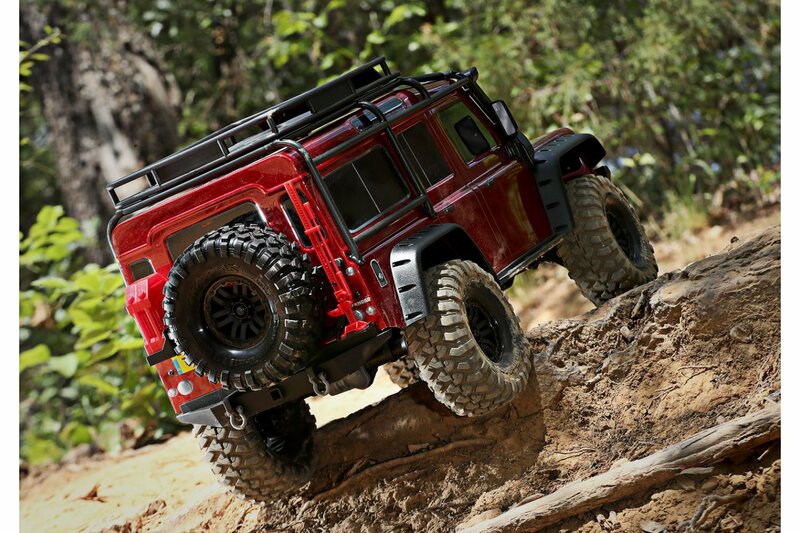 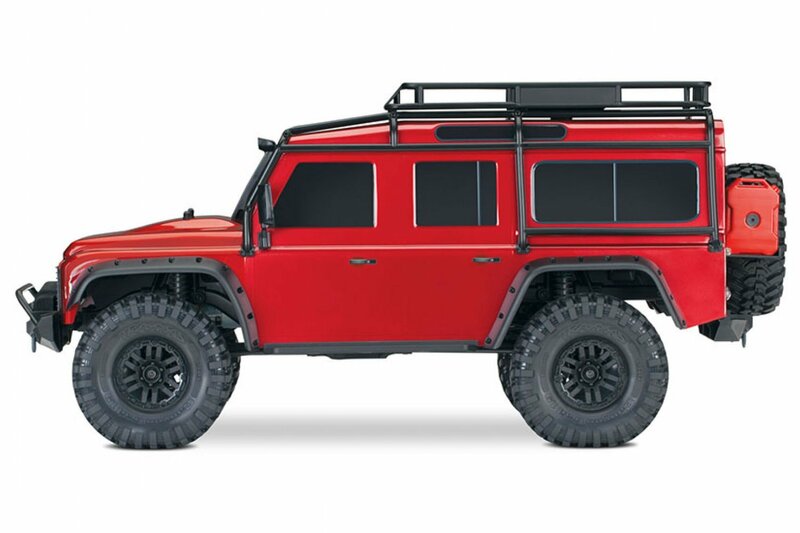 The Traxxas TRX-4 is the ultimate adventure car. 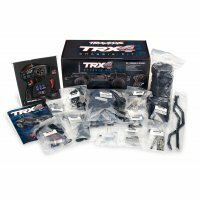 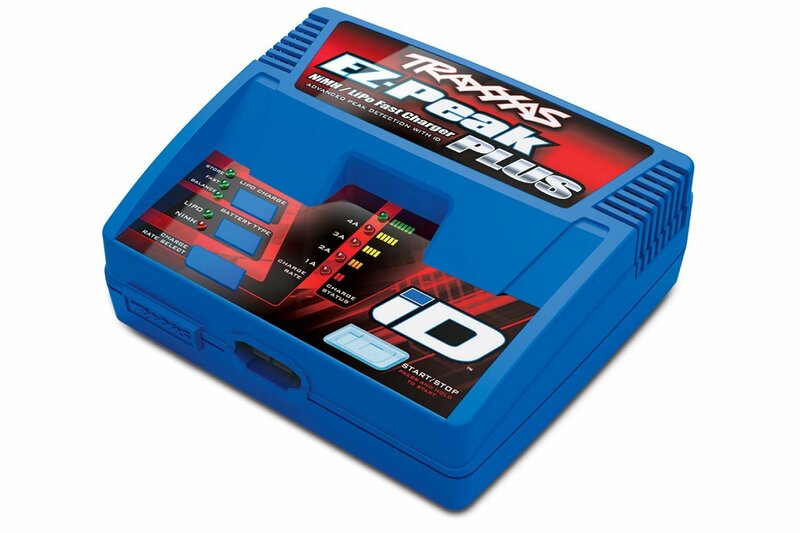 The TRX-4 has differentials that you can lock from your remote controller. 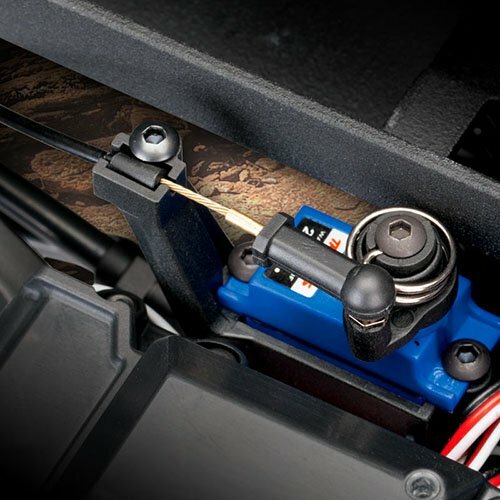 No need to break from the action to push on a lever or install locking parts just flick a switch on the fly and keephaving fun. 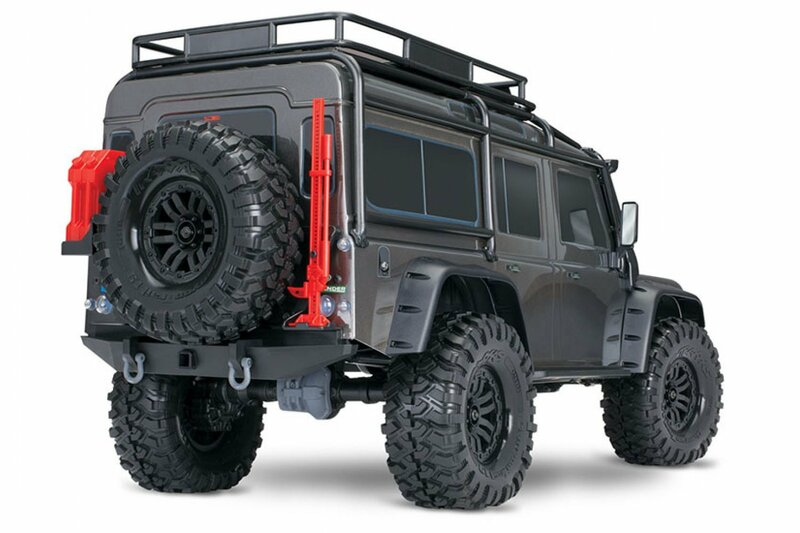 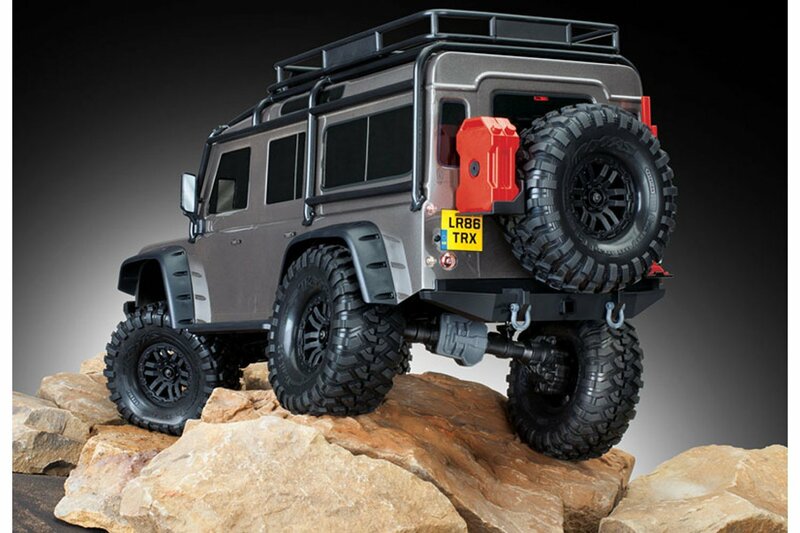 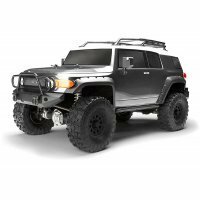 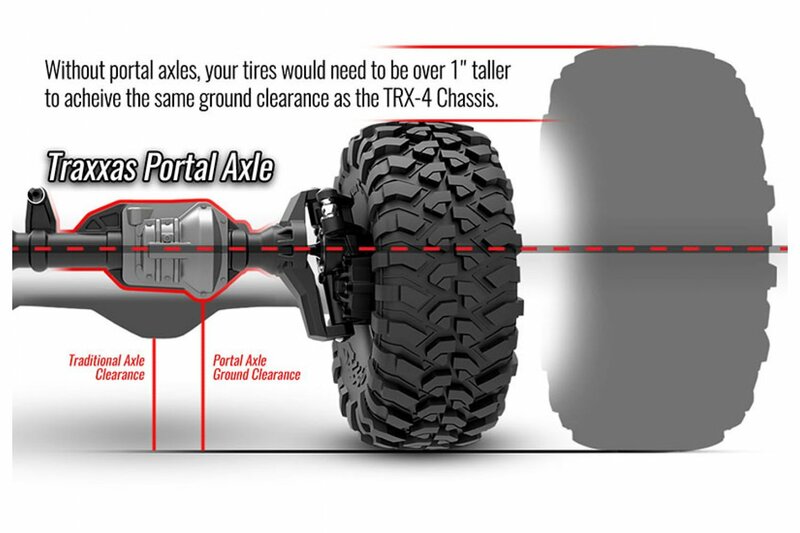 The first rock crawler to have the luxury of having the extra ground clearance axle portals provide. 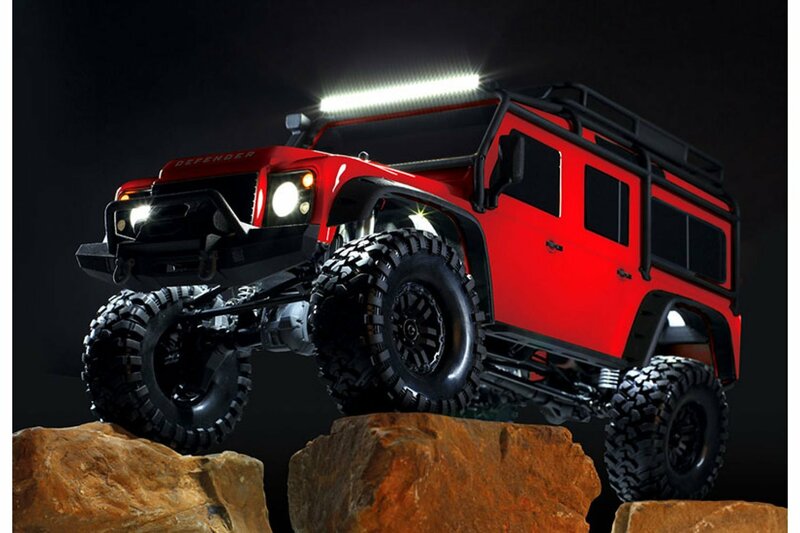 Go where others can't with the Traxxas TRX-4! 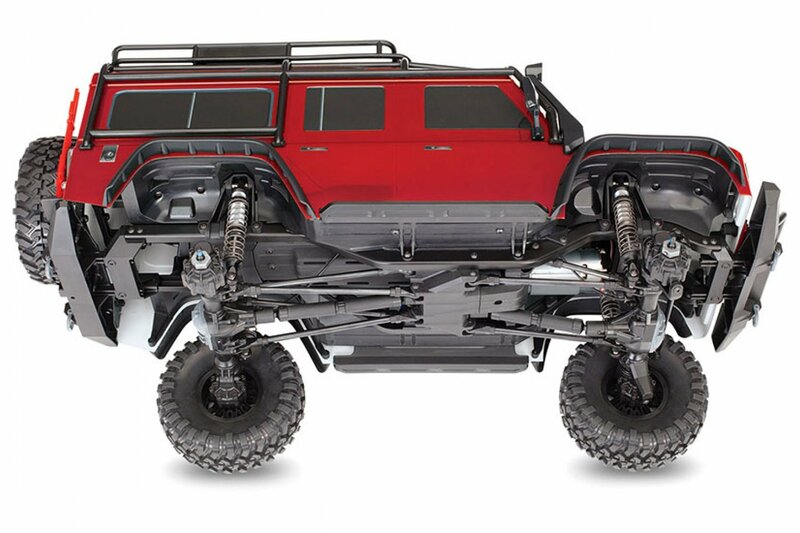 Why carry your crawler down to the trail when you can drive? 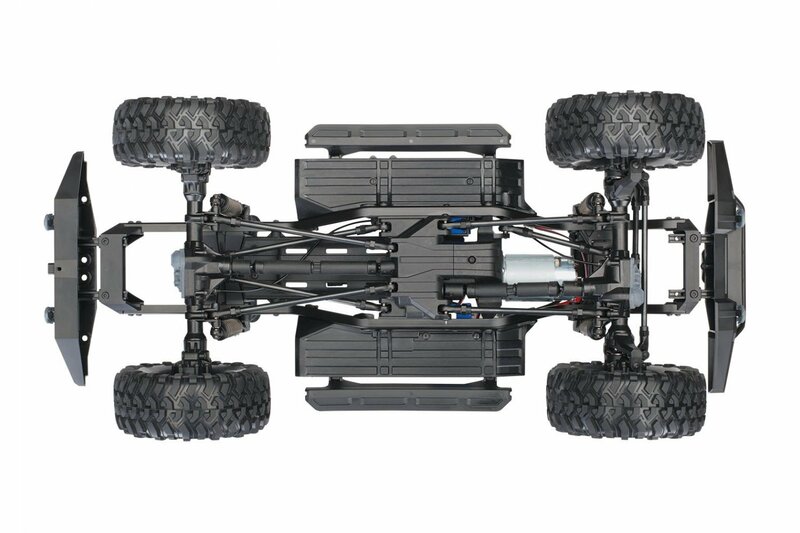 The Traxxas TRX-4 features a high-speed gear to get to your next crawling challenge quickly. 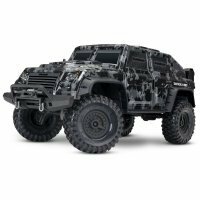 When you get there, flick the rocker switch on your remote controller to engage low range and conquer tough terrain with exception torque. 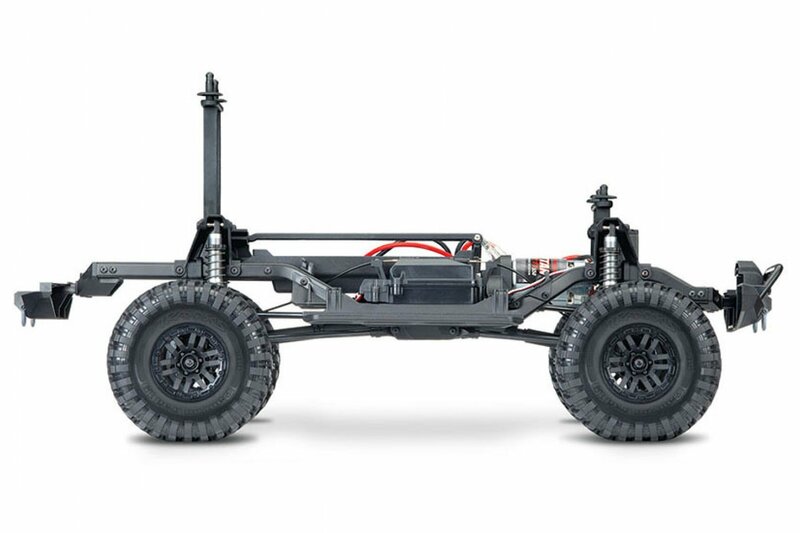 TRX-4 uses three fully-waterproof micro servos to actuate the front and rear differentials aswell as the high/low range selection on the transmission. 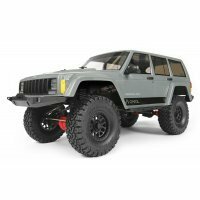 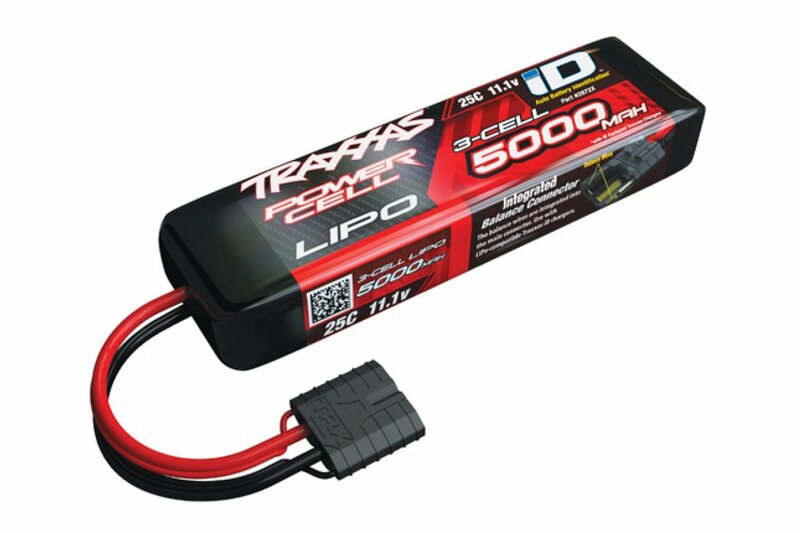 Sleeved micro cables eliminate complicated linkages that would otherwise limit suspension articulation. 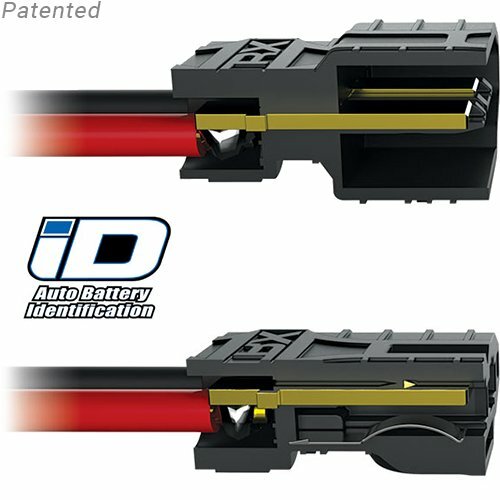 The best connectors in the industry! 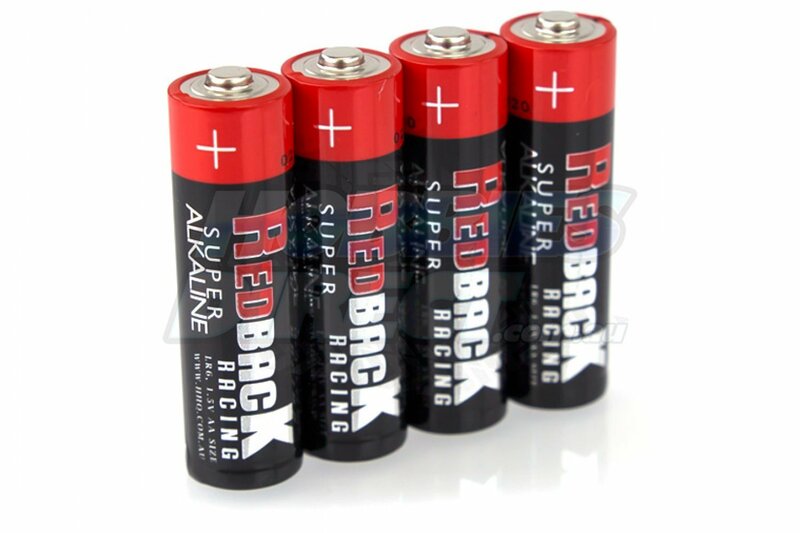 Secure, easy to use, high-current, also has a RFID chip that tells the charger what settings to charge it on. 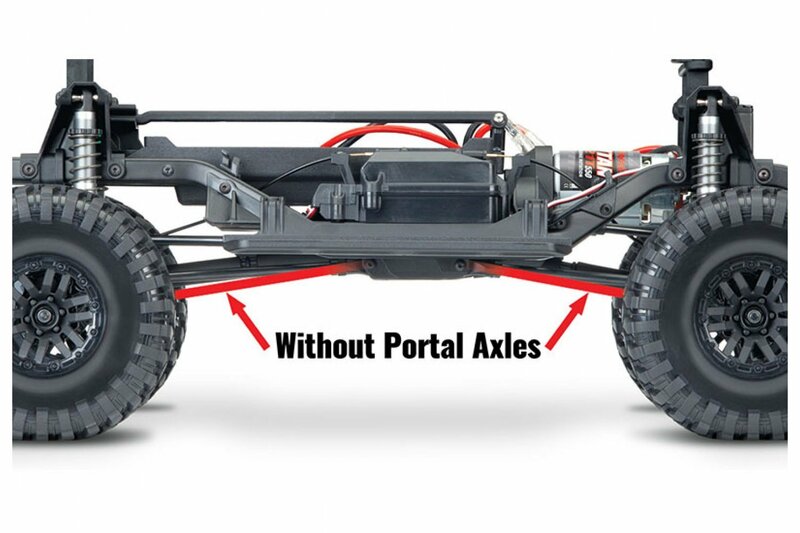 Now that's one smart connector.